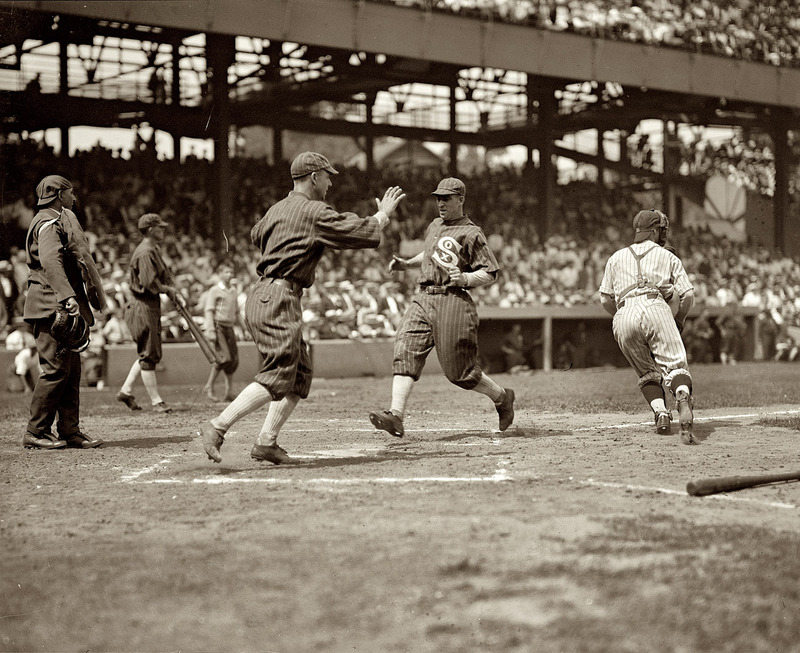 Back we go to 1925, and back to Griffith Stadium, White Sox/Senators twin bill on Tuesday, July 28, third inning of Game 1. Johnny Mostil trots home standing up, as instructed by teammate Ray Schalk (the high-five had yet to be invented) as the Sens’ C Muddy Ruel looks to corral an errant throw or back up another play, as none other than Walter Johnson got roughed up by the Pale Hose this day (including 5 walks) and was sent to the showers by the 6th inning. 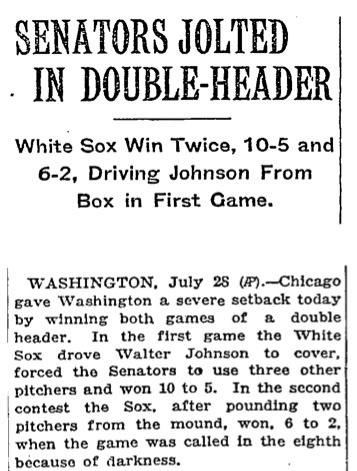 And when the White Sox knocked Tom Zachary out of the box with four runs in the first in Game 2, the Senators were on their way to a double defeat, which would drop Washington 1 1/2 games behind the Philadelphia A’s, although the Senators would rebound to win the 1925 AL crown. And while the White Sox enjoyed the spoils that day, the franchise was in the midst of an extended period of inconsistency since the Black Sox scandal gutted the club in 1921, and wouldn’t return to the playoffs until 1959. Johnson himself would otherwise have a stellar campaign in the Senators’ pennant winning season, winning 20, which would prove to be his last year with a winning record. He was also as good a hitter as a pitcher in 1925, batting an astounding .433 with 20 RBI’s. 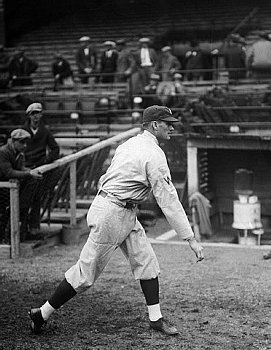 And facing the Pirates in the 1925 World Series, Johnson was the hero of Games 1 and 4, allowing only one run – but, like in 1924, Johnson was counted on by the Senators to come up big once again in Game 7, and “faced his Waterloo with head unbowed”, but turned out to have the worst post-season outing of his career, giving up 9 runs, including 3 in the bottom of the 8th (although there was a bit of bad luck as well – it was a muddy, rainy affair at Forbes Field, as night was falling in the late innings, and a Peckinpaugh error eventually allowed 2 unearned runs), to put the Bucs ahead 9-7 and virtually seal the championship for the Pirates. Johnson would fall to 15-16 the next season, and then win only 5 games while pitching to a 5.10 E.R.A. in 1927, and his storied playing career was at an end. White Sox Hall Of Fame catcher Ray Schalk had a storied career himself – he is considered to have revolutionized the position with his speed and quickness to redefine the capabilities of what a catcher could do, and was the best defensive catcher of his era. Thankfully, he also wasn’t one to give in to quick temptation, as he was among the “clean” White Sox players in the 1919 World Series, batting .304 and admitting later that he knew something was afoot when tainted hurlers Cicotte and Williams wouldn’t throw the pitches he was calling for. 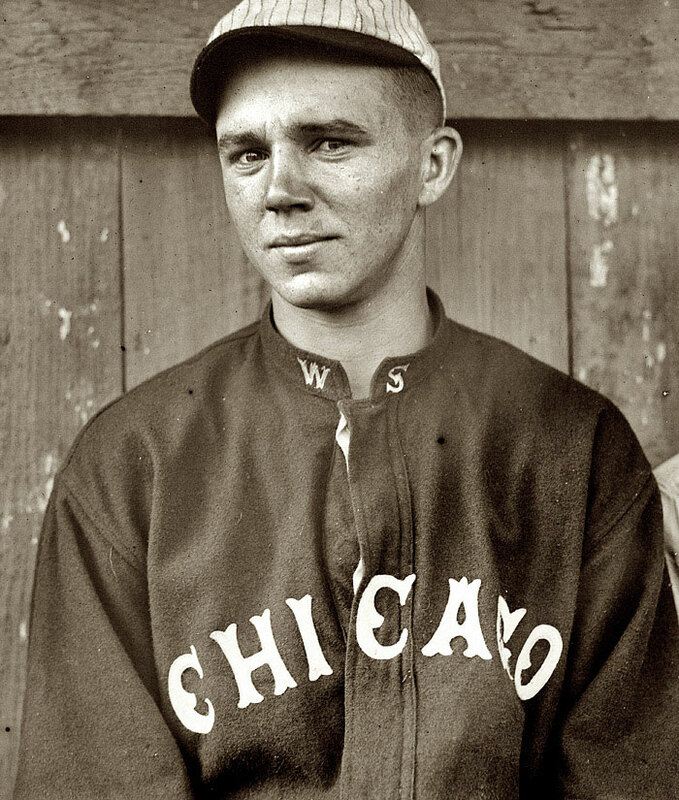 In 1925, Schalk’s career was already in twilight – he had his last strong season that year, but after being slowed by injury the following season (which would be a typical lament for similar aggressive, defensive-minded catchers going forward), became a player-manager in 1927, limiting his playing time greatly, and after assuming the same role with the Giants, retired after the 1929 season. Johnny Mostil may have joined the ranks of the above Hall of Famers if he hadn’t derailed his career prematurely due to an unfortunate incident off the field preceding the 1927 season. Mostil emerged as a budding star in the mid-1920’s, leading the league in runs, walks and stolen bases in ’25, and the slick fielding center fielder would be second in the MVP voting in 1926. However, the following March, during Spring Training in Shreveport, Louisiana, Mostil was found in a hotel room in a pool of blood due to many self-inflicted wounds throughout his body from a pocket knife and razor, and teammates, including Schalk, administered aid as help arrived. 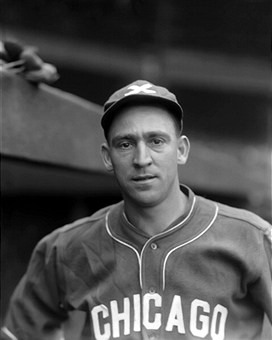 While initially he was not expected to survive, Mostil made a rapid physical recovery, but was put on the “voluntarily retired” list (likely recovering from emotional issues), and would not return to the White Sox until September of ’27. He did play a full season in 1928, but his speed was inexplicably slowed (with his stolen base percentage plummeting to near .500), and after breaking his ankle in May 1929, his career was over. Mostil never did disclose the reason for the suicide attempt, but it may have stemmed from rumors circulating that he was having an affair with a teammate’s wife, or perhaps a result of painful neurological problems he was going through. While it’s sad that the event effectively ended his major league career, he did survive, was very successful in the minor leagues afterward, and was also a long time scout for the White Sox, and lived to 70 years of age. Muddy Ruel was also an outstanding defensive catcher in his own right, helping to usher in era of defensive-minded backstops that originated during the Deadball Era, and led the AL in assists and putouts in 1925, and was also Walter Johnson’s “personal” catcher in his later career. 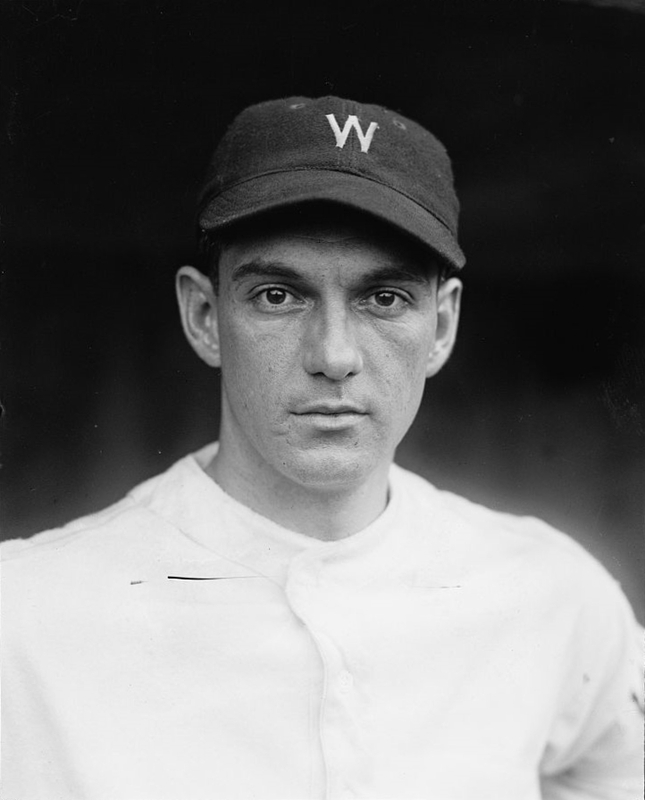 He also happened to score the winning run for Washington in the 1924 World Series. Ruel was also no stranger to baseball-related tragedy, this time on the field – he happened to be the catcher when the Yankees’ Carl Mays threw the pitch that struck and mortally wounded Cleveland’s Ray Chapman in 1920, still the only player to perish from an on-field injury.